When the polar bear cub Knut was rejected by his mother, Berlin zoo keeper Thomas Doerflein took over his care. 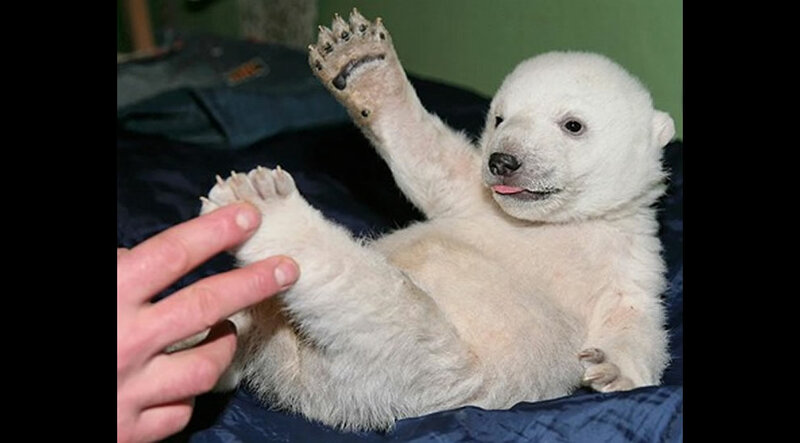 Knut was an adorable white and fluffy baby which soon skyrocketed Knut to fame. Knut became a superstar polar bear and had a very special relationship with Doerflein. Yet recently Knut was found dead at the Berlin Zoo. He was only a little over 4 years old. Here is a 30 picture tribute in memory to a one-of-a-kind superstar polar bear. R.I.P. Knut.